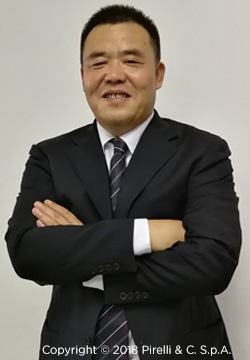 Mr. Bai graduated in Science from Lanzhou University in 1991 and graduated with a master degree in engineering from Dalian University of Technology in 1999. In 1991 he started his career as an engineer at China National Bluestar Corporation. From 1995 to 1999, he served as Deputy Chief Engineer. From 2006 to 2010, he was vice chairman and general manager of China National Bluestar Corporation and was manager of the production and operations at ChemChina. He serves as Vice President of ChemChina and Chairman of the board of directors CNCR and Aeolus Tyre Co. Ltd., as well as, inter alia, director of Fourteen Sundew S.a.r.l., CNRC International Ltd., Marco Polo International Italy S.p.A., TP Industrial Holding S.p.A. and CNRC Capital Limited.